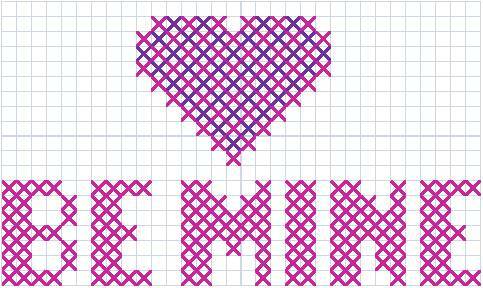 In honor of St. Valentine, the patron saint of love and happy marriage, I’ve been on a quest for inspiration for this mid-winter season of craftiness. I already have a few tricks up my sleeve from previous years. 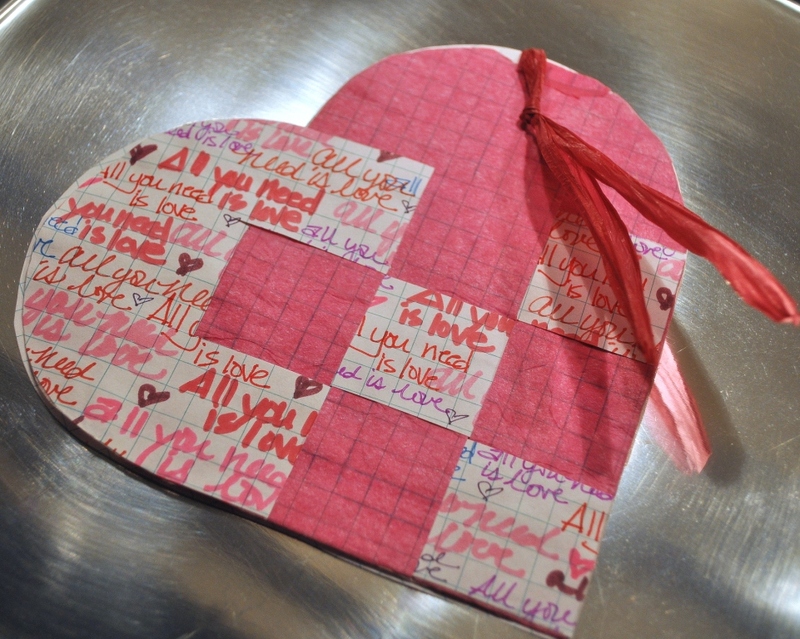 Last year I made swedish heart valentines – they’re easy and so fun to make. And I did a little cross stitch too. So perfect for a valentine, don’t you think? 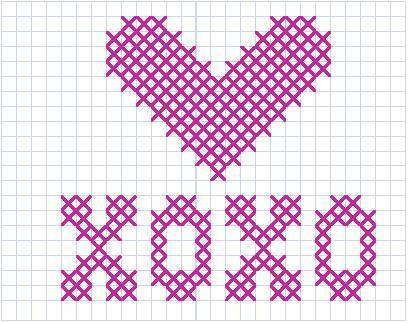 I make my own cross stitch designs, since they are pretty darned simplistic. Here are a few that i didn’t use, but may circle back to them this year. 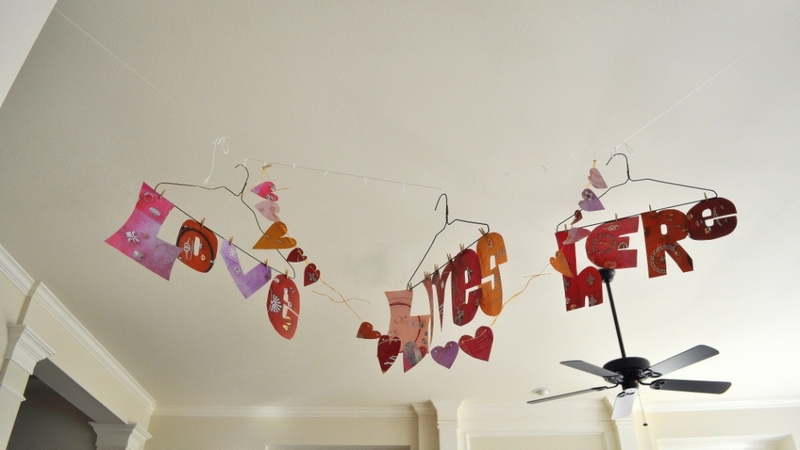 I did make a cute love banner that I hung between the kitchen and living room. Perhaps I should go find it–it’s stashed somewhere in a desk drawer. But what is inspiring me so far this year? Pinterest is a pretty good place to start looking. I’ve found no shortage of imaginative fabulousness. Thank you for reading ~ wishing you plenty of St. Valentine inspiration this winter! i was just contemplating Valentines Day. or maybe that was just me craving chocolate 🙂 i love hearts, i’m sure there will be no shortage of cupid or hearts on Pinterest in the next few weeks. it’s always a fun place to find great inspiration. Oh my lord! I am still undecorating from Christmas! Thanks for the inspiration to get my rear in gear and get started on the next fantastic celebration! As always, you have created such beautiful things. I let ‘he-who-put-it-up’ take it down…and stuck out my Valentines wreath last night. Oh, but it’s not as cute as that little heart covered with buttons…….OR the mobiles! Oh, what a sweet post, Diane! 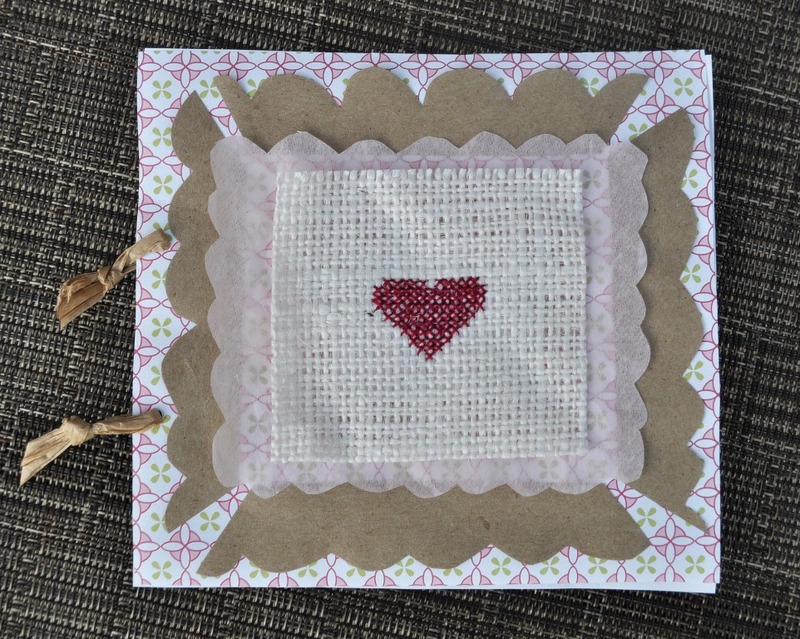 Love all the adorable heart/love creations! I’m especially lovin’ those heart pillows covered in buttons. How CUTE! Yes, I’ve heard of Pinterest from a customer a work who has a pinboard, and she really enjoys it. I need to check it out. Thanks for sharing this post, dear friend. Enjoyed it! Hope you had a super Wednesday! Great inspiration Diane. Valentines Day isn’t far off. I’ve been thinking about a few projects. You always have such fun ideas! I like those little blue hearts. You’re so organised!!! I can’t believe you’re already planning for Valentine’s!! You are Super Woman! !